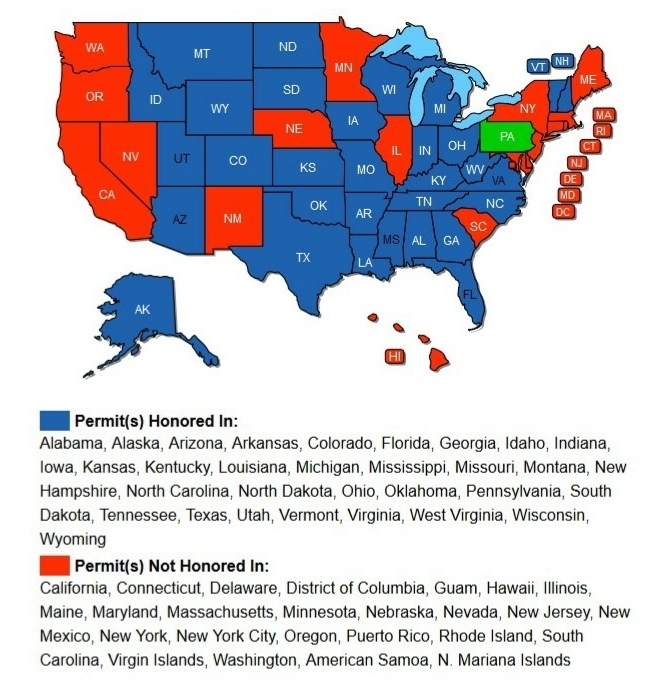 Why would Pennsylvania residents want a Arizona non-resident concealed firearm permit in addition to their resident state permit? Answer: The Arizona concealed firearm permit is one of the most widely recognized non-resident permits in the United States. 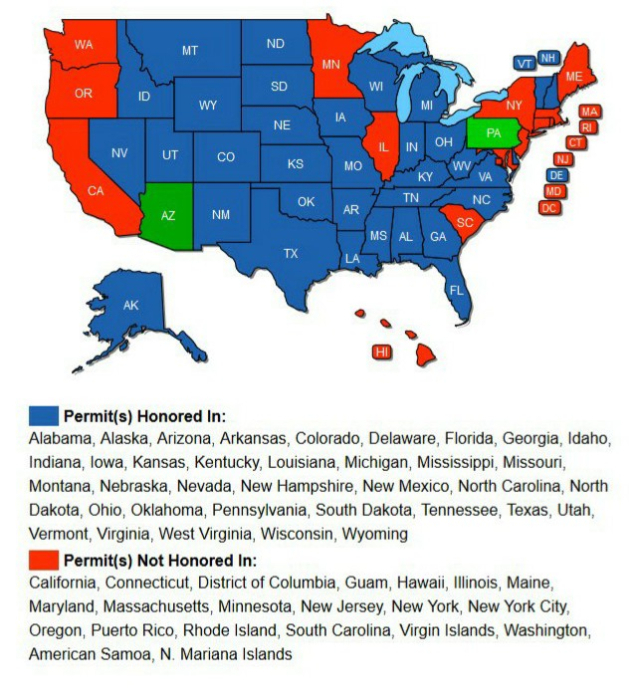 If you add the Arizona along with your Pennsylvania permit it will allow you to carry in a total of 37 states. 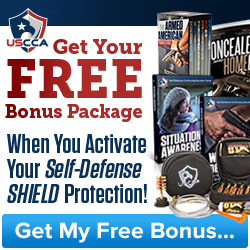 This class not only allows you more states to carry in but also brings you up to speed on self defense, stand your ground, castle doctrine, state and federal laws as well as prohibited areas. $50 non-refundable deposit is due at sign-up. If you are not able to make the class, deposit is good for 1 year from the initial class you registered. Pay here for your deposit, but be sure to also fill out the registration form above. If you have a free certificate do not pay here but let us know in the comments section of the registration form. NOTE: You are NOT registered until deposit is received. $50 for the class. 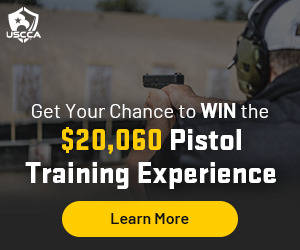 $30.00 additional for anyone wishing to apply for the AZ CCW permit package. Packets and fingerprints will be filled out and taken upon completion of the class. *If you have a voucher from one of the retail stores put the store's name and voucher in the comments section. This will cover the $50.00 deposit. To be registered you must submit your $50 deposit with your registration form. 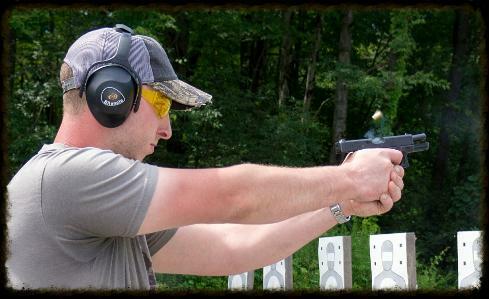 If you don't wish to sign up for a CCW course today, join our newsletter for future available courses. Copyright © 2014 Wolfcreek Training and Consulting LLC All Rights Reserved.